"Mystic" redirects here. For other uses, see Mystic (disambiguation). The Mystic Mouse is a breed of mouse found in the Tribal Isles region. They are known to drop Seashells in Elub Shore. 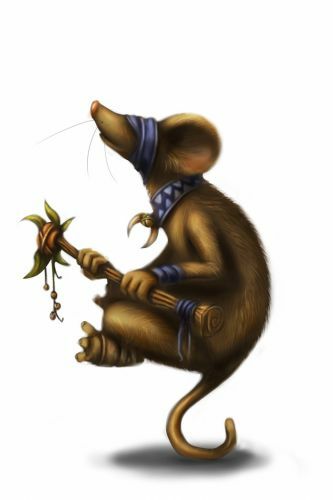 The Mystic mouse calls upon the secret learning of the ancients from the Elub tribe and uses realities beyond human comprehension to call the cheese to it from a hunter's trap. Their concentration is as powerful as their devotion to cheese. Not even a whisker shall move as the hunter's cheese vanishes before their very eyes. Mystic mice have no specific preference for any kind of cheese. This page was last edited on 28 June 2014, at 20:10.